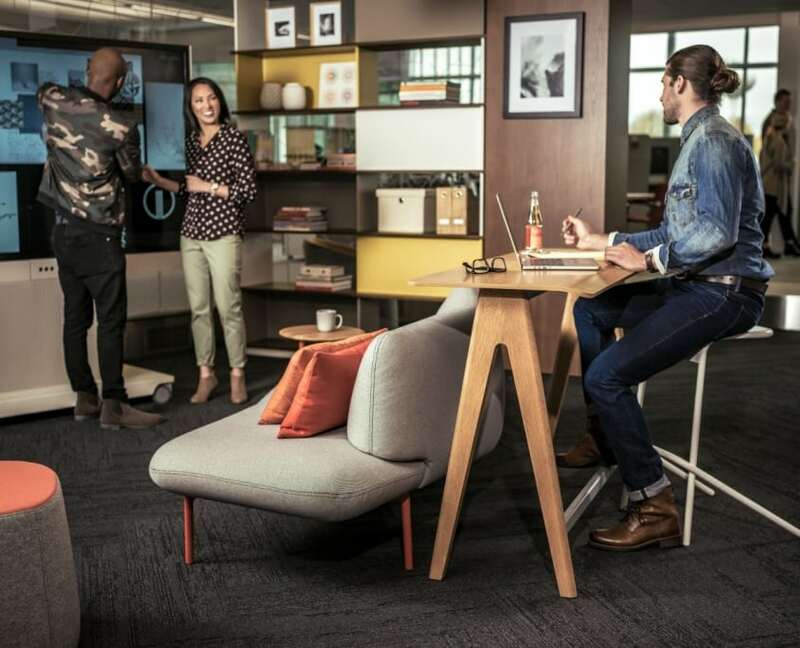 Many organizations that go through a digital transformation frequently experiment with new ways to to incorporate workspace design management. However, as Jacob Morgan, a keynote speaker, author, and contributor to Forbes, points out in his article on Workspace Design, a lot of organizations go through changes in the physical space, but often at times forget to change at the structure of the management and leadership level. You can’t design one without redesigning the other. When this type of change happens throughout any business, you need to deploy change management strategies. But what exactly is change management, and how exactly does it affect the way workspace designs play out? Here’s what you need to know. Simply put, Change Management is a collective term for all approaches to prepare and support individuals, teams, and organizations in making an organizational change. For workspace design management, CM crafts a smooth transition for employees from their current work environment to their future workspace. Frank Duffy and his colleagues at DEGW provide a simple but elegant description of CM when they described architecture and workspace design as “preparing the space for the people”, and change management as “preparing the people for the space.” Managers who adopt this mindset proactively are facilitators, capable of driving the change and leading their team without disrupting or causing discourse within the company. Change guru John P. Kotter, author of bestsellers which include Heart of Change and Leading Change, highlights a few key elements that affect changes towards workspace design for your managerial leaders. If you want to discover more about Change Management, check out Haworth’s extensive guide here. Workspace Design Management helps employees work more efficiently by having managers prioritize the personal workspaces for their teams. If you work in an enclosed cubicle office, for example, and transition to a more open workspace for better collaboration, your manager can help guide that transition to be as simple as possible. Most workers have a natural tendency to resist change that often happens for new workspaces. Good change management lets people get back to their work faster and feel more satisfied with both their change experience and the new space. Gitte Andersen, Managing Partner at SIGNAL, says “the importance of using space and workplace design to enhance performance is unquestionable. Space and workplace design hold the power to either strengthen or diminish the work processes that are put into action.” As no two companies are built the same, maximizing the potential of workplace design can have a positive impact on employee engagement levels. Good managers provide the tools for their teams so that they may properly immerse themselves in any physical environment. As more organizations recognize the impact of their office space on their overall brand, employee retention and recruitment, and operational costs, leadership can focus on how to correctly use these spaces to their maximum ability. Doing so will help align employees to the business culture, outcomes, and goals. To a deeper extent, managers that follow through organizational changes with workspace designs must be mindful of the personal and cultural values of their teams. Input from the heads of various departments, such as human resources, design, and marketing, can help do two important things for an organization: focus on elements of employee interaction and culture, and allow sufficient trust to develop in order to bring the team together throughout changes in the workspace. Discover more about the roles within workspace design management and chat with the BOS team today!